Power up your Friday with McDonald’s Walang Pasok Deal. Caffeine makes the world go round, or so we believe. It’s hard to get your day started right without a caffeine fix. And if you are planning to delight your sweet tooth, mark this Friday on your calendar. McDonald’s Walang Pasok Deals are perfect treats to kick your caffeine cravings and keep your energy levels stable. Double the fun and dive into a coolness of 16oz McCafé Iced Coffe (Plain or Vanilla) for FREE when you purchase one (1) 16oz McCafé Iced Coffee (Plain or Vanilla). 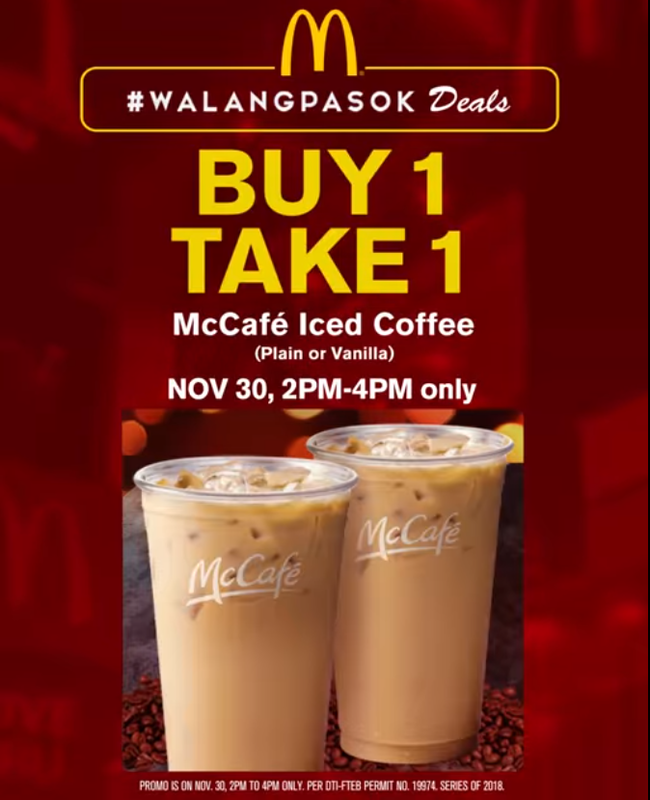 The BUY 1 TAKE 1 Iced Coffee promo is available at ALL McDonald’s stores nationwide on November 30, 2018 from 2:00 PM to 4:00 PM only. November 30, 2018 – Friday, From 2PM to 4PM only. Get a FREE 16oz McCafé Iced Coffee when you purchase (1) 16oz McCafé Iced Cofee (Plain or Vanilla). Free item is the same as the purchased item. Only one free item per transaction is allowed. FREE item cannot be exchanged for cash. 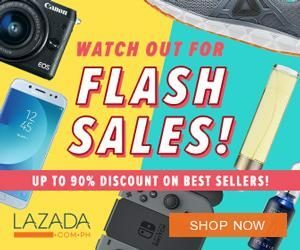 This promo cannot be used in conjunction with other promos. The Promo is not applicable to other McCafé Products. Promo is available in all McDonald’s stores nationwide via front counter, take-out counter and Drive-Thru purchases only. Promo is not available in Sundae & McFloat Stations, Fries & Sundae Stations, and via McDelivery. For orders with Senior Citizen / PWD requests, the final purchase amount will be confirmed after applicable discounts have been applied. You may visit their official Facebook Page for more details and inquiries.